TV Aerial cables are important when it comes to making sure your TV reception and quality is the best it can be. 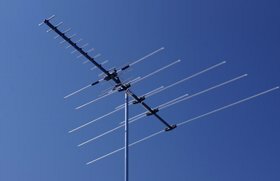 At Adelaide Telefix, our expert technicians have years of experience setting up cabling for your outdoor TV aerial to ensure that you get the best signal and image quality. If you are in need of new cabling to run from your TV aerial to a particular point indoors, we have you covered. We are experts in installing cabling, whether its completely new cabling, or rerouting existing cabling to a different indoor point. Adelaide Telefix has a team of technicians that have been installing TV cabling for years, so we have the experience and knowledge on how to best install your TV aerial cables so that you get the most optimal reception, no matter what your setup or situation is. When installing new cabling, it is important to have it done the right way. The new cabling needs to be durable, able to withstand different conditions and weather, and it needs to be installed in a way that lets you get the best reception and quality for your TV. Our experienced team at Adelaide Telefix will provide all of these for your TV setup - we use only the best, most durable outdoor aerial cables, and our team will install the cables in the most appropriate way for your situation so that your TV will get the best reception. 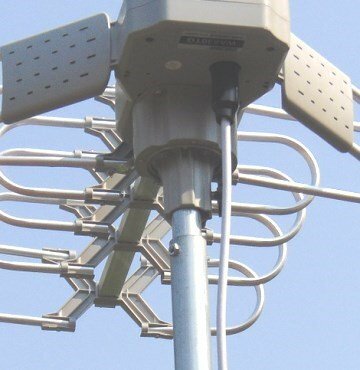 Existing outdoor aerial cables can require maintenance throughout their lifetime - environment and weather can wear cabling down or degrade them, and time can render some types of cabling obsolete. Our technicians are experts in TV cables, so we can check your cables, fittings, or connection point to see if they may need repair or replacement, we can replace any worn out or degraded cabling, and we can provide you with the latest aerial cables to replace your old cables if needed. Adelaide Telefix has been working with TVs for years, and we know the best ways to ensure you get the most out of your TV experience. No matter what type of installation you need, our team at Adelaide Telefix will get it done, and at a great price. We can install new cabling for your outdoor aerial, fix TV Aerial cables, replace existing cabling, and we can ensure that the cabling setup is done so that you get the best out of your TV and have quality reception. If you want new TV aerial cabling installed, or existing cabling checked or repaired, contact Adelaide Telefix or click below to book a job and we would be happy to help you.